Reserve your free tickets now for the Aug. 2 screening of “Black Jack Pershing: Love and War,” in Kansas City, Mo. Please join us at 6:30 p.m., Thursday, August 2 at the National WWI Museum and Memorial in Kansas City, Missouri. It’s a free screening and discussion of “Black Jack Pershing: Love and War.” To reserve your free tickets click on this link. 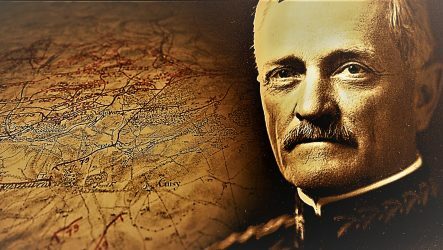 General John J. Pershing, a Missouri native, rose to global recognition with an illustrious military career that included the Allied victory in WWI. Drawn from personal papers, archival photographs and film, the award-winning documentary Black Jack Pershing: Love and War tells the story of Pershing’s military career and his personal life, including tragedies seldom examined.